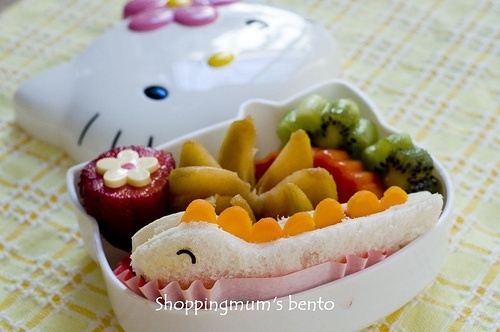 As we know, we cannot make our child eat our well-packed lunch when they’re out of our sight. I’ve tried using threats or bribes, but it didn’t working. 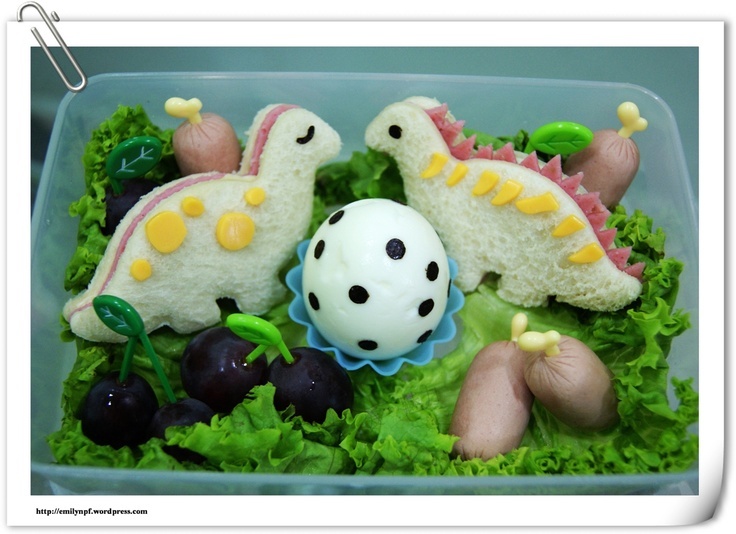 Today, I will share my experience by bring them some Dinosaur lunch box that your kids will eat. We must have some good planning, creativity and involvement. 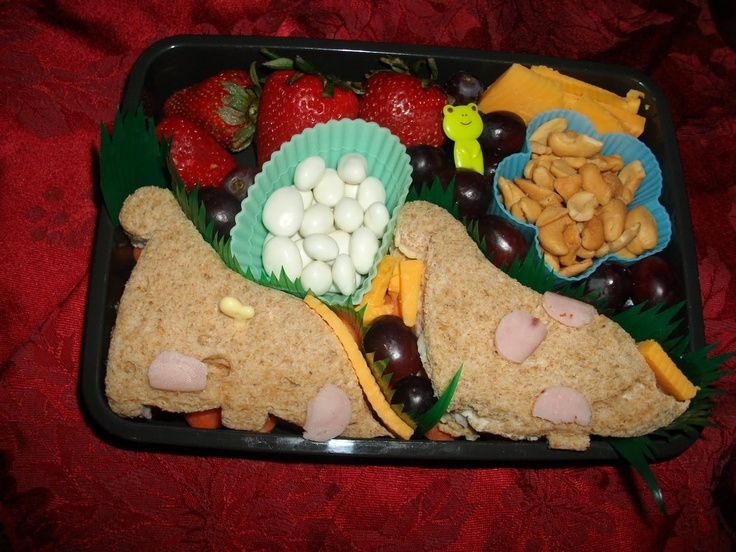 The first thing that we should do, is choosing an empty lunch box that your child dug into of his own free will. 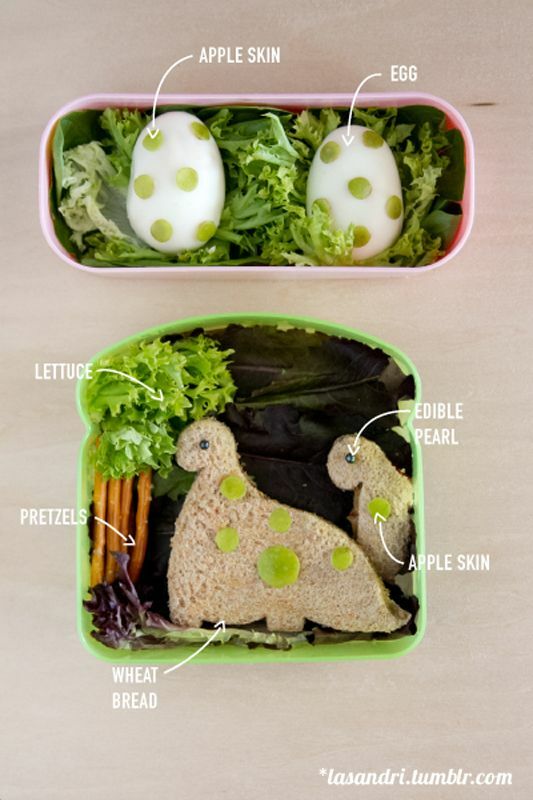 You can search and find dinosaurs-shaped lunch box, or another box shape. 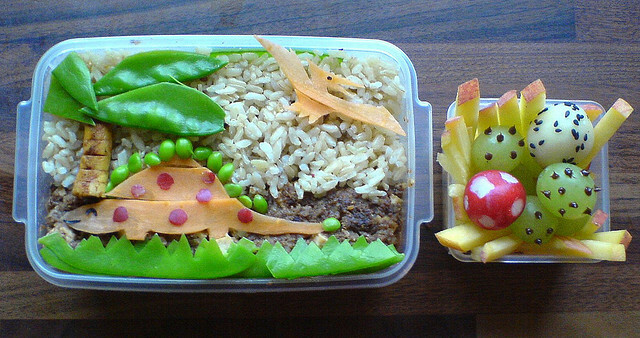 Ask your kid to pick out a lunch box that he likes. 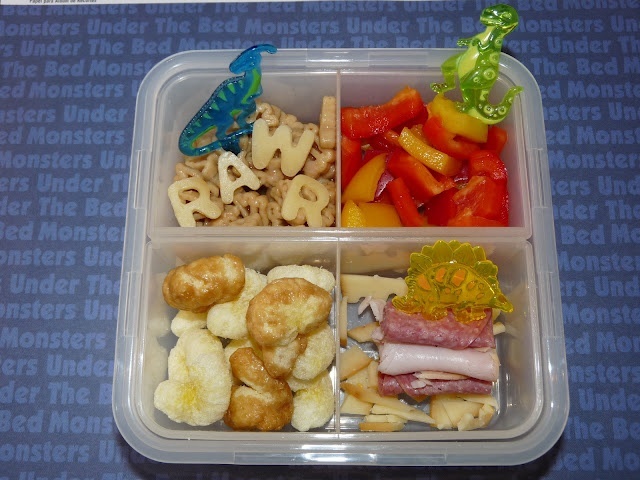 Use reusable plastic containers that match with your child’s favorite shape (car, dinosaur etc). Now, get in shape. 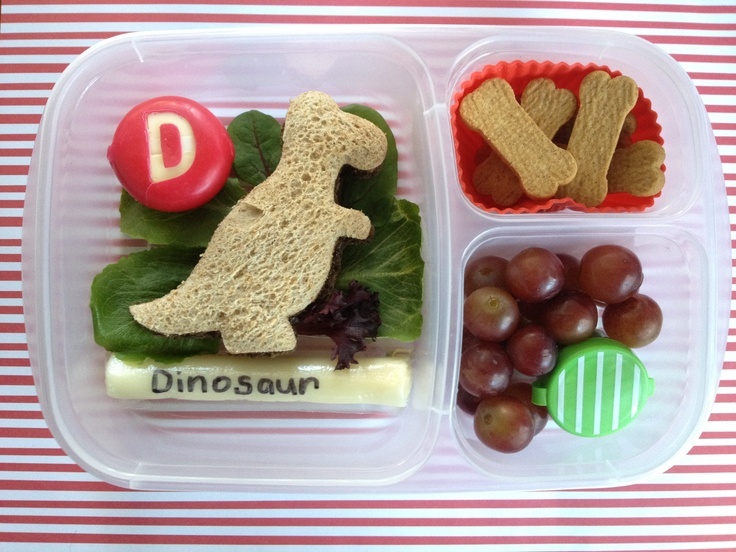 Use dinosaur cookie cutters to make dinosaur-shaped sandwich. This will make your sandwiches more appetizing. 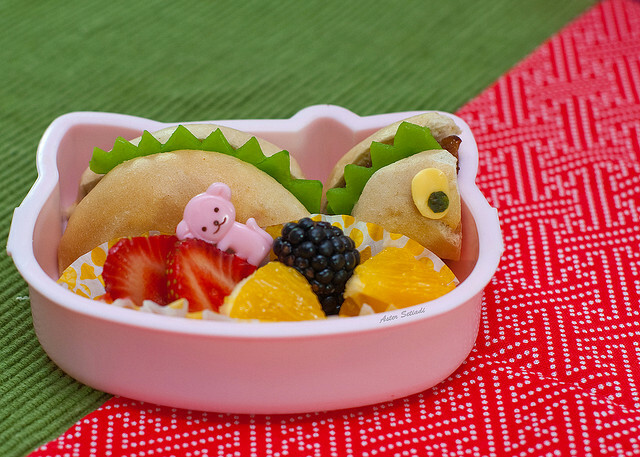 Small cookie cutters can be used for cheese slices or vegetables, we can use flower cookie cutters. If we’re working with a food that won’t work with a cookie cutter, like meats, grapes or another food, be creative. Maybe we can use grapes as dinosaur’s eyes, as a rocks. We can also use meat as grass etc. You can add some dip or sauce. 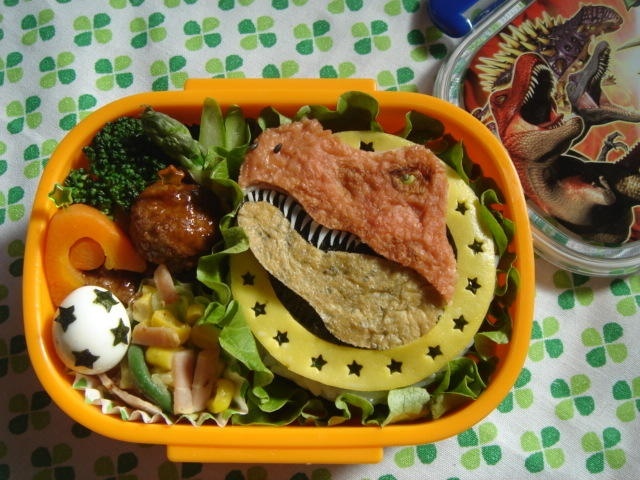 Use veggies as Jurassic era’s vegetation, you can use some dip or sauce as its lake or another volcano mountain. Now it’s time to mix it up. Throw in different colors, dinosaurs have so many interesting colors . Use your creativity to make it interesting and stimulating such as baby carrots, blueberries, red bell pepper and many more. 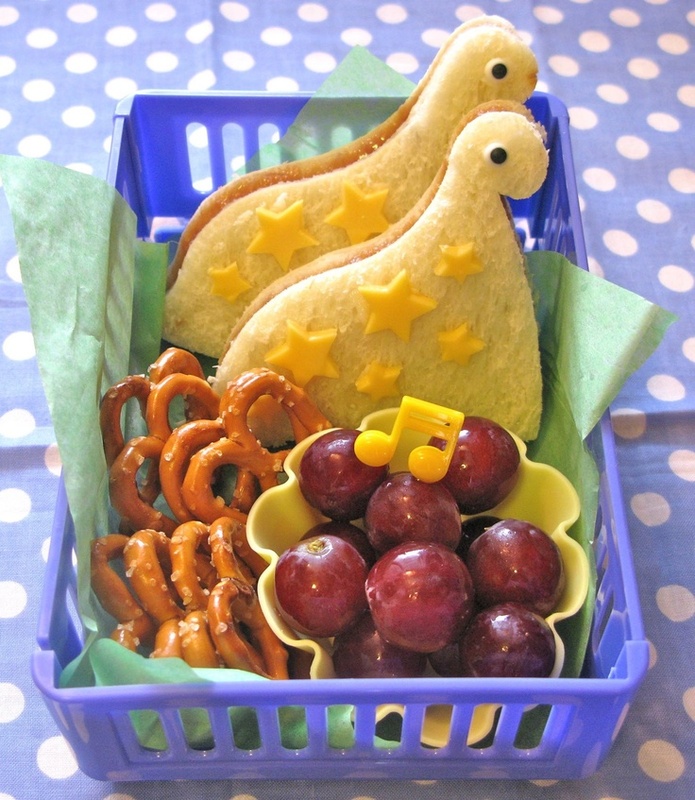 The last thing and more important, ask your child to pick up their food, choose their favorite food. If she/he helps make the selections, she is more likely to eat her dinosaur lunch.